A new album from Rancid is an event to be sure, and there was no shortage of news from their camp this week. The new album Let The Dominoes Fall was unveiled to the public with a stream on MySpace this week. The band’s upcoming tour partners Rise Against also had some kind words to say about the popular East Bay punks act. Also this week legendary producer Phil Spector, famous for his “wall of sound” production technique and work with bands from the Ronettes to Tina Turner to the Beatles to the Ramones, was sentenced for murder this week. Spector was found guilty of murdering actress Lana Clarkson, and is set to serve 19 years to life. Hopeless act All Time Low is set to release Nothing Personal this July and detailed the record this week. Polar Bear Club announced the title and release date of their sophomore full length, titled Chasing Hamburg. Brooklyn, NY’s The Brass (featuring members of On The Might Of Princes and Latterman) have announced the release of their upcoming 7″. The Bouncing Souls premiered the first volume of their 20th Anniversary TV Spectacular. A Wilhelm Scream posted a studio clip of them working on their upcoming EP. On the tour circuit look for Brand New on the road in the US soon. Look for a summer tour featuring Anchor Down, In The Red and Bastards Of Young. Social Distortion have added some US and Canadian dates supported by Civet and the Strangers. Fake Problems will also be on the road with Kiss Kiss and Ninja Gun. This week brought new audio from Sky Eats Airplane with their cover of nu-metal relic “Nookie.” Speaking of covers William Elliott Whitmore performed a cover of Bad Religion‘s “Don’t Pray On Me” from their 1995 album Recipe For Hate. This week we said goodbye to multi-instrumentalist, producer and former member of Wilco (Jay Bennett (1963-2009). Punknews.org will be represented this year at the 2009 San Francisco AIDS Walk on July 19th. The current team features Punknews readers, staff from Fat Wreck Chords and our pal Mike Park of Asian Man Records. You can register here or make a general donation here. Our Dispatches series of band blogs featured Rochester, NY’s Sakes Alive!! as they prepared their new EP (video intro). This week we spoke with Roger Manganelli of Rehasher (interview), and Zach Byrne and Andy Kavanaugh of The Goodnight Loving (interview). So what’s coming up this week? Look for new releases from Dave House, 311, Rancid, Spinnerette, Subb, Taking Back Sunday with tours kicking off from All Time Low and Set Your Goals on the Take Action Tour Australia, This Time Next Year / A Loss for Words (US), Rise Against / Rancid / Riverboat Gamblers / Billy Talent (US / Canada), Lemuria (UK), Dillinger Four (US), Darkest Hour (US / Europe), Mastodon (UK), and Alexisonfire (US / Europe). Click Read More to check out our ongoing contests, new streaming music, social networking links and more. Portland, OR’s Anchor Down, Mike Hale‘s latest vehicle In The Red and Sacramento’s Bastards Of Young are set to tour together this summer. The bands wil meet up in California this July and will tour the US west coast, wrapping up with appearances at the Denver Post Underground Music Showcase. In The Red frontman Mike Hale has been keeping a tour journal via Punknews in the For Those Still Standing series. His band released Volume 2 this year. 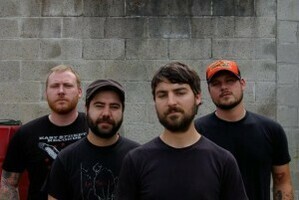 Anchor Down is supporting their Solidarity Recordings released album Steel to Dust, while Bastards Of Young are supporting a Split with Wolves And Thieves. Columbus, Ohio’s Attack Attack! (not to be confused with South Whales’ Attack! Attack!) have premiered their new video for the song “Stick Stickly” on MTV2. The song appears on their Rise Records release Someday Came Suddenly. Belgian American label I Scream Records has signed Denver, CO’s Reno Divorce. The label will release the band’s new 11 song full length Tears Before Breakfast in the US on July 21st. A European tour is planned for the summer, with dates currently being confirmed over at MySpace. Reno Divorce formed in Orlando, Florida in 1996 and relocated to Denver in 2000. The band has shared the stage with the likes of the Reverend Horton Heat, Henry Rollins, Agnostic Front, D.I. and many others. With his forthcoming solo album due out next week, Dave House has a new video documenting the recording and touring of his new album. The record is titled Intersections and is due out June 1, 2009. Toronto’s Metric have posted their new video for “Sick Muse.” The video was shot by Justin Broadbent and Michael Leach of HotDogGarbage. The song appears on their new self-released record Fantasies. The band will appear at this summer’s Glasonbury festival in the UK. They’ll play the Saturday, June 27th date alongside Bruce Springsteen & The E Street Band, Franz Ferdinand, the Gaslight Anthem and many others. The band will also play the July 4th Virgin Festival in Halifax, Nova Scotia with Arkells, the The Offspring, the Tragically Hip, Dinosaur Jr, Plants and Animals, Hey Rosetta! and the Handsome Furs. The car is being sold via raffle, with the winning ticket to be drawin on July 13th. Tickets are £10 and available from the Strummerville website. The Mag Seven have completed work on their fifth album (third for End Sounds) at The Blasting Room in Fort Collins, CO. Brandon Landelius and Doni Blair (Toadies, Hagfish, Only Crime) are once again joined by Bill Stevenson (Descendents, Black Flag, ALL, Only Crime, Lemonheads) who returned to play drums on all tracks on the instrumental album. Long Island-based punk outfit Southshore United, which respectively features ex and current members of the Movielife and Halfway to Hell Club have posted five tracks from the Potter’s Field EP. Check them out on their myspace page. Legendary Rock and Roll Hall of Fame producer Phil Spector has been sentenced in the murder of actress Lana Clarkson. The producer was first arrested in 2003 for the shooting death of the woman. Spector was arguably the most legendary producer of the 1960s and early ’70s, having worked with the Ronettes, the Crystals, Ike and Tina Turner, and even the Beatles. He was notably the producer of the classic Ramones album, End of the Century and was famous for his “wall of sound” production technique. This was a dense, layered, and reverberant sound that reproduced well on AM radio and jukeboxes popular in the era. The Ramones’ late bassist Dee Dee Ramone once recounted an incident during the End of the Century sessions in which Spector pulled a gun on the band. Spector has been sentenced to 19 years to life in Prison. Greg Beharrell of Canadian rock station X92.9recently spoke with The Offspring guitarist Noodles. In the interview, Noodles talks about why the band made Rise And Fall, Rage And Grace, as well as their experience working with producer Bob Rock and the songs off the record. Asked if The Offspring were planning their next album, Noodles said that frontman Dexter Holland was in Hawaii working with Bob Rock (who also produced Rise and Fall) and looking back to the songs that didn’t make it onto the last record before they could begin writing new material, although he didn’t offer a timetable for the next record. He also discussed the possibility of releasing a b-sides and rarities compilation album. After 15 years, three albums, hundreds of shows, and far more twists and turns than we ever imagined possible, we’ve decided to put Harvey Danger to rest. The decision is totally mutual and utterly amicable. Everyone is very proud of the work we’ve done together, but we’ve also come to feel that our collaboration has–in a very positive way–run its course. We’re all eager to try our hands at other projects, musical and otherwise. Chances are we’ll all work together in one form or another; if we’ve learned anything, it’s that you never know what will happen. Of course, putting an end to something we’ve been working on since our early 20s can’t help being accompanied by a soupcon of melancholy. Nonetheless, as the Chambers Brothers remind us, time has come today. Rock bands have life spans, and Harvey Danger’s has been longer, and more eventful, than even we would have predicted. The band released Little by Little… in 2005. In The Red Records has set a release date for the forthcoming album from New York’s Vivian Girls. The record is titled Everything Goes Wrong and is due out September 8, 2009. It is the follow-up to Vivian Girls which was released in 2008.